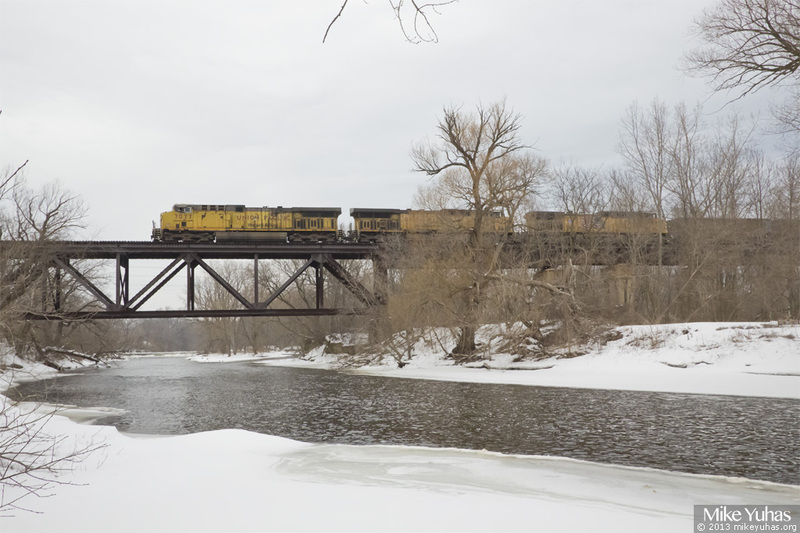 An empty Sheboygan hopper train crosses the Milwaukee River, one of the scenic highlights on UP's Shoreline Subdivision. Three units on the head end are powering the train, which is somewhat unusual. A DPU problem on the northbound loaded train the other night necessitated the conventional lashup today.